Now you can easily receive AdSense payments in Nigeria directly into your bank account. This can be achieved through International wire transfer in the bank account you choose. Google AdSense is updating the way the pay their publisher and thereby discontinuing some mode of payments. Based on this, Google AdSense publishers in countries like Nigeria will start receiving payments via wire transfer. Wire transfer is an electronic mode of payment which allows you to receive payments directly into your choice bank account. It is a fast, secure, and reliable alternative to receiving payments. How to Receive AdSense payments directly into a Nigerian bank account. 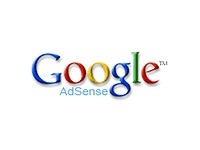 - Sign in to your AdSense account. - A dropdown list will show up, select “Payments”. - On the left sidebar menu of your account, click on “Payment settings”. - On the “Available forms of payment” section, click “Add new form of payment”. - Select the radio button for “Funds transfer to bank account” and click Continue. - Enter your bank account information and click “Confirm and continue”. Your AdSense account will be updated to the form of payment (wire transfer). Your next payment should be credited in your bank account within 4-10 business days. With this, you will receive AdSense payments easily and no need to keep receiving checks/cheques which will take longer days before it turns to cash.